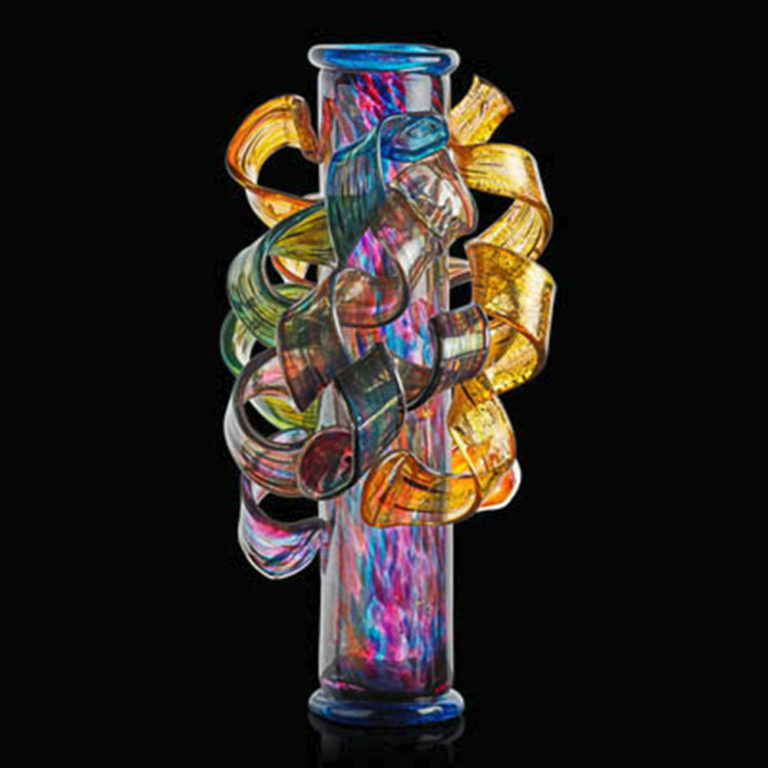 One of the stars of our Art on Fire ·The Chihuly Connection exhibit is Lino Tagliapietra, who Chihuly claims is the “greatest glass blower in the world.” His work will be highlighted also at our upcoming Venetian Fantasy event. 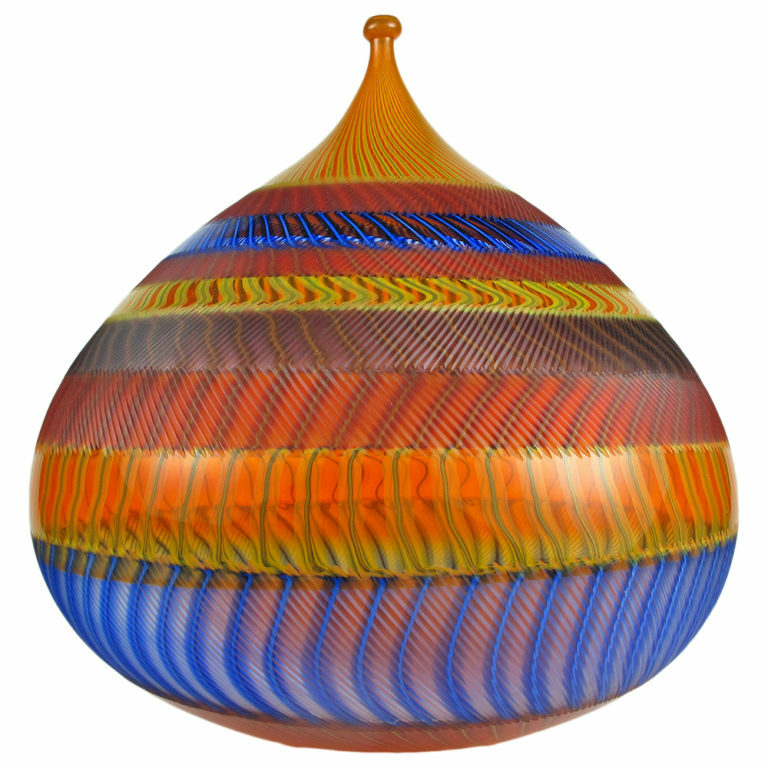 When Lino Tagliapietra first visited Seattle in 1979, he didn’t speak a word of English but he certainly communicated with his exceptional command of glass. He recalls his first visit to Pilchuck “The technique, they were very poor, but the energy, they were fantastic.” He has returned to teach in the USA many times and has shared the closely guarded Venetian secrets with aspiring young glass artists. 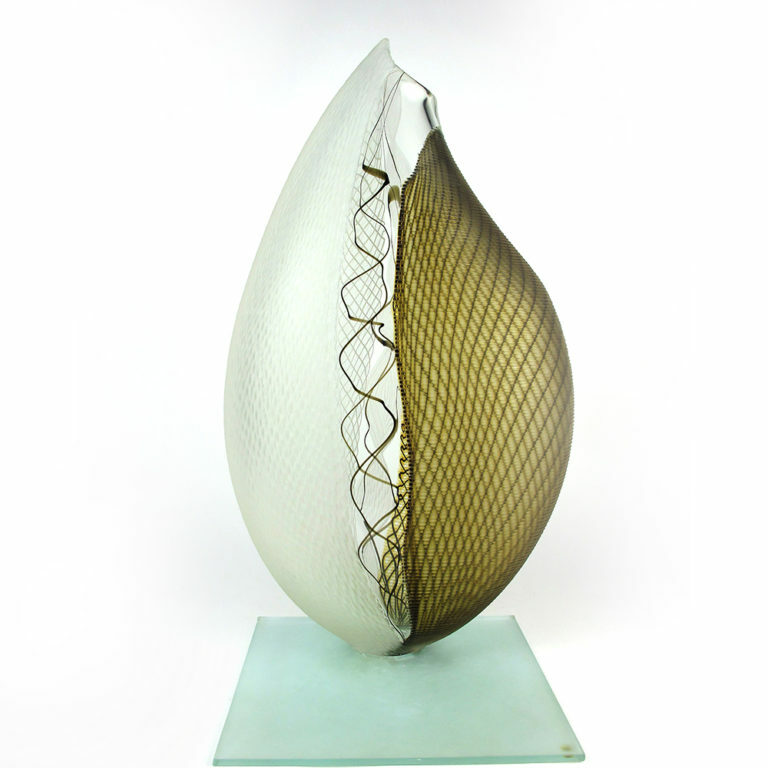 Lino began his glass career at the age of 12 and earned the rank of maestro when he was 25. 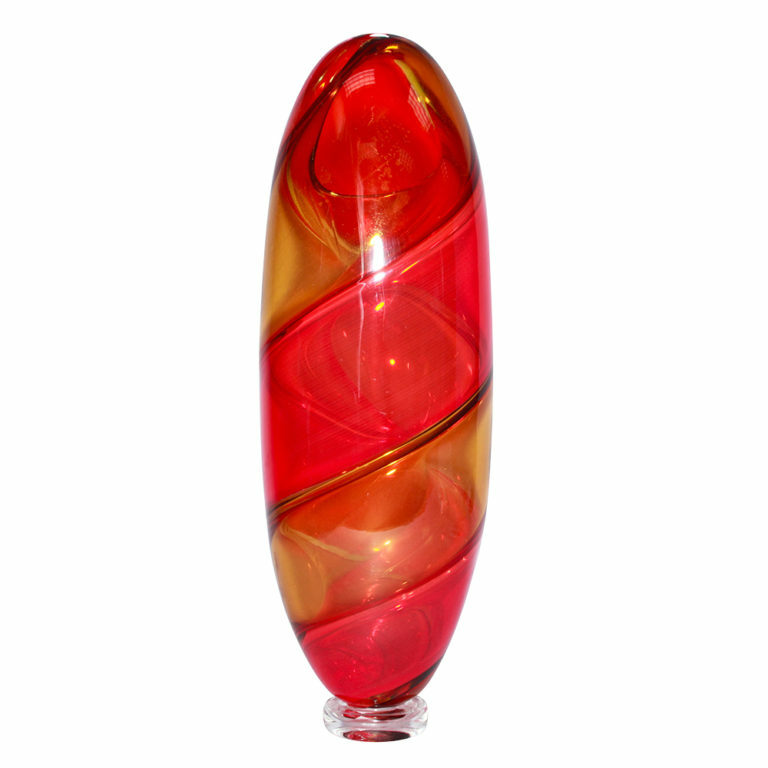 During the 1980s, he moved from commercial glass manufacture in Murano to creating his own studio glass. In 1988, Chihuly asked Lino to collaborate on an audacious new series called the Venetians inspired by Murano glass from the Art Deco era. However Chihuly and Tagliapietra’s Venetians take the glass to extreme stylizations and have been described as looking as if a vase had an affair with a chandelier. Watching them work together is fascinating. Chihuly communicates with a constant stream of drawings along with an Esperanto of words and gestures. Tagliapietra’s own work is more understated yet technically brilliant. He had his first solo show in Seattle in 1990 and later opened a second studio in the heart of this city. He continues to combine modern experimentation with traditional Italian tricks as can be seen in his iconic Saturno at WMODA which became his personal emblem. 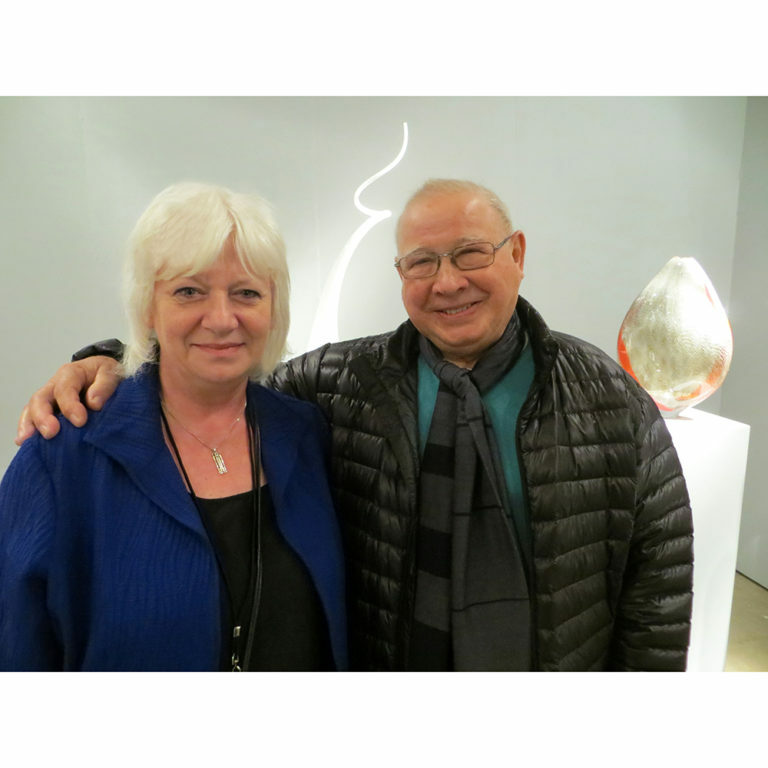 The Venetian connection continues to thrive in American glass art thanks to Lino who has received numerous awards for his teaching as well as honorary degrees, notably from Centre College in Danville, Kentucky where he was recently presented with the keys to the city. 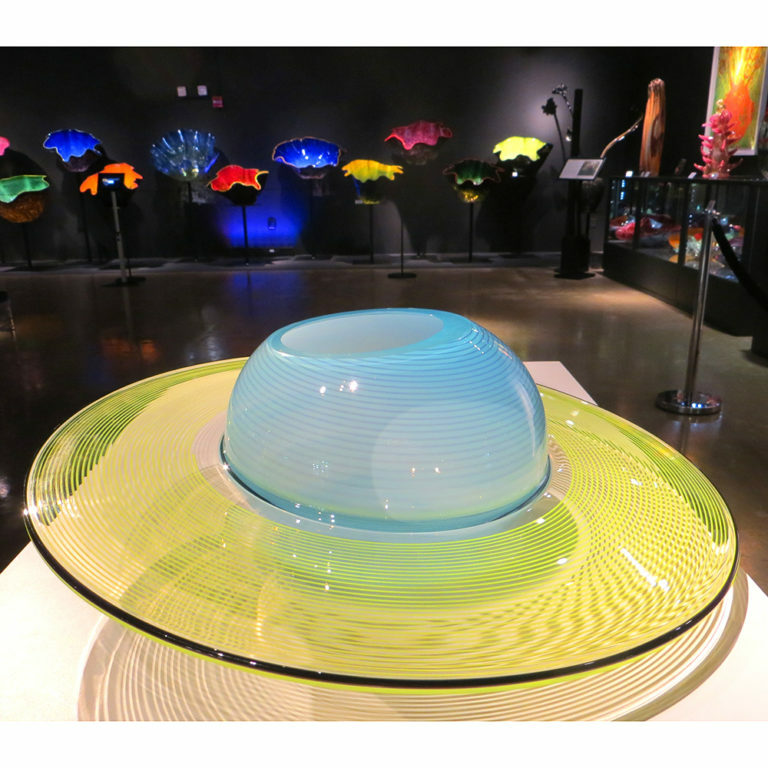 Chihuly acclaims him as "the greatest glassblower in the world."